Janie Ruth Mitchell Evans, age 85, of Elm City passed away peacefully on January 4, 2018. Born on February 29, 1932 she was a daughter of the late James and Emma Mitchell. Mrs. Evans was affectionately known by her friends and family as “Ma,” “Granny,” or “Miss Janie.” She was also known to many as “the snack lady” since the food she prepared as a co-owner of Floyd’s Catering Service fed many workers at major construction projects in the Wilson and Elm City area. For ten years Mrs. Evans also demonstrated her care and concern for children by operating a day care service. Miss Janie selflessly fed and clothed countless people of the area and would have given anyone in need her last biscuit. She was born in Christ at the Elm City Church of God where she was a charter member. At the time of her passing she was a member of First Missionary Baptist Church of Elm City where she served her Lord and Savior as a mother of the church. Survivors include two daughters Nancy Godwin of Garner, NC and Debra Weathers of Elm City and a son Ben (Marsha) Morris of Rocky Mount, NC; two step-children Tootsie and Kitty Mae; two adopted children Tony Barnes and Ruth Hunt; eight grandchildren Vanessa, Billy Ray, Miranda, Tiffany, Janine, Mireya, Faith, Noah; seven great-grandchildren James, Brandon, Zach, Davis, Ariana, Samantha and Olivia; one great-great grandchild Cameron; two sisters Hazel Beckwith of Raleigh and Margie Puryear of Smithfield. In addition to her parents, she was preceded in death by two brothers, Junior and Nathan Mitchell. A service to celebrate the life of Janie M. Evans will be held Monday January 15 at 2:00PM at First Missionary Baptist Church of Elm City, 6211 East Langley Rd., Elm City conducted by the Reverend Pastor Mark M. Johnson. The family will receive friends one hour prior to the service at the church. Please dress in purple to honor Mrs. Evans. 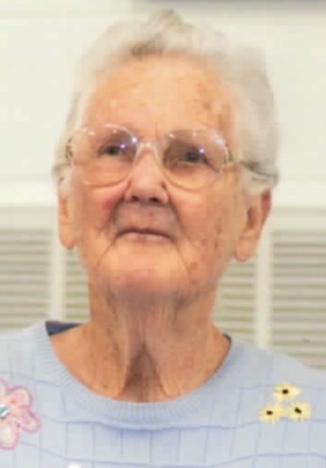 The family would like to express their gratitude to the staff of Wilson Pines for their loving care and concern for Mrs. Evans during her stay at their facility. In lieu of flowers, please make memorial contributions to First Missionary Baptist Church of Elm City, PO Box 1060, Elm City, NC 27822. Condolences may be left for the family at rbrentcookfunerals.com. Arrangements by R. Brent Cook Funeral Service Licensee, LLC of Elm City.